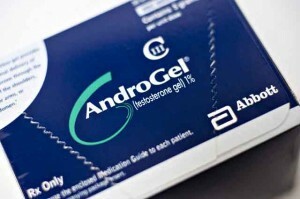 A plaintiff who filed a lawsuit against multiple manufacturers of testosterone therapy products claims use of Testim and Androgel led to his heart attack in 2013. The plaintiff has joined more than 3,000 other plaintiffs with similar allegations. Those lawsuits have been coordinated into multidistrict litigation in Illinois District Court. The plaintiff in this case, Franklin Spelts, filed his lawsuit via short-form complaint on October 22. He also adopted portions of the Master Long-Form Complaint, including numerous counts against the three defendants, Endo Pharmaceuticals, Auxilium Pharmaceuticals and GlaxoSmithKline. The lawsuit involves two of the Low T supplements manufactured and marketed by these defendants, Androgel and Testim. Spelts claims that he began using the products as prescribed by his physician in January 2013. He continued to use them, switching between Androgel and Testim, until his injury in December 2013. On December 23, Spelts was taken to the hospital, where he was diagnosed as suffering from a heart attack. He remained in the hospital until December 27 and has suffered economic and non-economic damages since that time. Spelts joins many other men that have suffered serious injuries after taking testosterone therapy products. Originally used to treat men with medical conditions causing low testosterone levels, the products are now prescribed to men suffering the symptoms of low testosterone due to the normal aging process. However, the products were never approved for this purpose, even though they have been marketed as such to the general public and medical community. In March 2015, the FDA released a safety communication warning that testosterone supplements have only been approved for men with medical disorders that result in low testosterone levels. These conditions include disorders affecting the pituitary gland, brain or testicles that lead to a medically-diagnosable condition known as hypogonadism. In the same communication, the agency also warned about an increased heart attack risk associated with these testosterone products. According to the master complaint adopted by plaintiffs involved in the MDL, manufacturers of these products have “engaged in aggressive, award-winning direct-to-consumer and physician marketing” for their products. They have also participated in aggressive “disease awareness” campaigns to educate men about the symptoms of “Low-T,” a condition “invented” by the defendants, according to the master complaint. As a result, prescriptions for these products have increased exponentially. In addition, the defendants have failed to provide proper warning about the risks associated with their products, particularly the risk of heart attack and stroke. The Mayo Clinic cites three different studies, conducted in 2010, 2013 and 2014 that showed men taking these products had a higher incidence of heart problems, including heart attacks. Men who have been injured by testosterone therapy products may choose to file a lawsuit against the product manufacturer, like hundreds have already done. Those cases were coordinated into multidistrict litigation last year for the purpose of streamlining early trial proceedings and making the legal process more efficient and convenient for everyone involved. Testosterone injury lawsuits are currently assigned to U.S. District Court for the Northern District of Illinois, where they are overseen by the Honorable Judge Matthew F. Kennelly.